Are preparations being made for the next pandemic? On 26/01/2010, Novartis warned governments not to cancel contracts for H1N1 vaccines. On Tuesday, the Swiss pharmaceutical group Novartis, which produces a vaccine against H1N1 pandemic influenza, warned governments against the cancellation of orders, warning that in the future “reliable” states would be served first. The boss of the pharmaceutical giant warned that “the next time there was a pandemic – and there will be an pandemic” – governments that had been reliable partners would be treated preferentially. it can be argued that since time immemorial there have been pandemics but all the same .. . it sounds like a threat! The WHO, which gives vaccine recommendations twice a year for the northern hemisphere and the southern hemisphere, has already expressed a recommendation in September for the southern countries. The seasonal vaccine for the 2010-2011 northern hemisphere can therefore be expected to contain three strains of virus: H1N1 A-California/7/2009, H3N2 A / Perth/16/2009 and B/Brisbane/60/2008. Indeed, these other influenza viruses have been circulating this winter across the world and should “continue to coexist in 2010-2011 in the northern hemisphere with a probability that the pandemic virus of 2009 will dominate,” said the UN agency. However, the seasonal H1N1 strain has circulated very little this winter. “It is unlikely that seasonal influenza A (H1N1) viruses will circulate next winter in the northern hemisphere,” says the WHO. Therefore, WHO recommends not to include the seasonal H1N1 strain (which was the ‘A/Brisbane/59/2007 in 2009-2010 such as the vaccine: Vaxigrip) in the vaccine 2010-2011. Anyway those who refused the vaccination against influenza A but who were vaccinated for seasonal influenza will receive for the year 2010-2011 the A-California/7/2009 H1N1 (influenza A) which was rejected by so many people. A reminder: The new virus, A / California / 7 / 2009, has been described as a recombination of multiple origins of the H1N1 strain. – from eurasian swine flu. In 2010-2011, you will receive an injection: A/California/7/2009 + H3N2 A/Perth/16/2009 and / Brisbane/60/2008. – Bird flu: not contagious but extremely lethal in 60% of cases. The P4 maximum security laboratory, has made the first page headline in this morning’s newspaper “Progrès”. At issue: the experiments undertaken by virologists who have worked for three weeks on crossing H1N1 (swine flu) and the H5N1 (bird flu) viruses. The first is highly contagious but not deadly, while the second is often fatal but spreads little. The experiment was especially designed to anticipate a possible mutation of the two viruses but not (yet) to create a vaccine. The virologist Bruno Lina, interviewed by the newspaper, said however that the probability of the existence of such viruses are fairly low. Ok! Here, there is a problem … Flashback to 13.03.2009: See note: Swine Influenza A (swine flu) coincidence or not? The company Baxter had confirmed that it had manufactured a product contaminated with the bird flu virus H5N1. The contaminated product, a mixture of human flu H3N2 virus and H5N1 bird flu virus which were not correctly identified …. 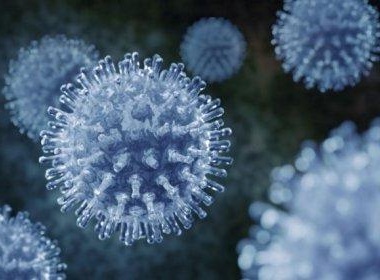 Biosafety specialists expressed fears the human influenza H3N2 virus had been mixed with bird influenza H5N1 virus. This is a dangerous practice that should be prohibited, according to several experts. An accidental spread of the mixture of H5N1 and H3N2 viruses could have led to disastrous consequences. The H5N1 virus does not easily infect humans, but H3N2 does. Again according to experts, in the event that a person exposed to the mixture was simultaneously infected by both strains, that person could serve as an incubator to a hybrid virus capable of spreading easily from one human to another. This mixture of reassorted strains is one of two ways to create a pandemic virus. And, strangely less than a month afterwards, we were alerted about a pandemic influenza A, obliging member states of WHO to buy vaccines. So in 2009-2010, the cross between the H1N1 (swine flu) virus and the H5N1 (bird flu) virus was already tested in real life situation on those who agreed to be vaccinated against influenza A with strain: A/California/7/2009. – Bird flu (H5N1): very contagious but extremely lethal in 60% of cases. As we understand from the WHO, the experiment will continue next year with the injection of the 2010-2011 flu vaccine still containing the A/California/7/2009 strain. Given the concern about the mixture of the H3N2 virus and the bird flu H5N1 virus manufactured by the Baxter Group, specialists in biosafety were alarmed about people who would be simultaneously infected by both strains. Their fears revolved around the fact that they could serve as an incubator for a hybrid virus. The research carried out by the security laboratory experimenting over the last three weeks a crossing of H1N1 (swine flu) and H5N1 (bird influenza) viruses is understandable, and according to them the purpose is to anticipate a possible mutation of the two viruses. Should we worry about a second pandemic? Will people vaccinated in 2009-2010 be incubators for a hybrid virus capable of spreading easily from one human to another in 2010-2011? And if not this winter, when? 2011? Personally, I think if this were to happen, it would be for winter 2012! In the P4, a maximum security laboratory, an experiment in progress attempts to determine the conditions for hybridization of the two viruses. The first spreads fast but kills few, the second is not contagious but often fatal. Over the last three weeks, the P4 in Lyon has stopped all other experiments. This maximum security laboratory – there is only in France and twenty in the world – is currently focusing on high-risk experiments: attempts to produce a cross between the new H1N1 virus and bird flu, the H5N1 virus. The first spreads far and kills few; the second spreads not much and kills many. Creating a hybrid of the two would be disastrous. “We are trying to understand, by infecting a cell with these two viruses, which are the genetic determinants that would allow them to exchange genes (especially in pigs – Editor’s note)” says virologist Bruno Lina, who heads the influenza A project for this Inserm laboratory. Three biologists from his team have been assigned to perform these tests which were determined and endorsed at ministerial level. Provided with specia ID, they are assisted by a half-dozen technicians attached to the site. “All operations are carried out in airtight safety suits (scaphandre) and are subject to very restrictive regulations” declares Lina. If the media appears to have finished with swine flu story, this is probably not true of our bodies. “It is a certain there will be a new pandemic wave,” says Bruno Lina, head of the National Reference Center for influenza viruses. “Either the H1N1 virus will become a seasonal virus and the pandemic will have a moderate impact, or it will trigger a second wave next winter,” he adds. A second wave that could have a greater impact, as was the case during the winter influenza epidemics of 1957 (H2N2) and 1968 (H3N2): “It was during the second wave, in winter 58 and winter 69 that there were the most deaths,” the virologist reminds us. Even “if nothing is logical with this flu, we must still keep this in mind.” Without being alarmist, the researcher is also keeping an eye on the bird H5N1 virus (287 deaths out of 486 cases in the world), which he says, “seems to be on the revival.” As evidenced by five new cases reported in Egypt. OS – The filoviruses Ebola and Marburg – Arenavirus of type 4: Lassa virus of African origin and arenaviruses from South America. – The haemorrhagic fever virus from the Crimean Congo – The smallpox virus – The Nipah and Hendra Henipaviruses – Influenza A viruses of H5N1 origin.